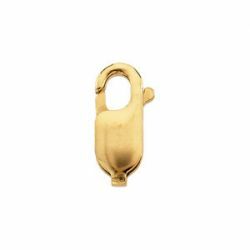 Description: 14k yellow gold light weight lobster clasp for chains. The connector jump ring is not included. 3.75mm wide by 10.0mm in length with an inside diameter of 1.0mm on the connector ring hole. 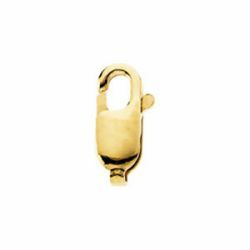 4.25mm wide by 12.0mm in length with an inside diameter of 1.0mm on the connector ring hole. 5.25mm wide by 13.5mm in length with an inside diameter of 1.2mm on the connector ring hole.